For almost two decades, JWI has advanced the interests of more than 15 sovereign governments, multinational corporations, political movements and NGOs worldwide. Below is a representative list of JWI achievements on clients’ behalf, organized by the primary service that JWI provided. JWI organized meetings, appearances, and interviews for a West African Heads of Statein Washington and in New York for the UN General Assembly. JWI helped two West African countries improve their Millennium Challenge Corporation scorecards to secure U.S. government funding. JWI helped a country just emerging from chaos establish effective relations with the U.S. and develop a base for economic recovery. JWI led the way for an address by an Asian country’s President before a U.S. Joint Session of Congress — an extremely rare privilege — with full media coverage. JWI enabled a Head of State to address his people directly when a national disaster struck during his official U.S. visit by arranging for international broadcast time. JWI helped a troubled West African state qualify for U.S. trade benefits such as Generalized System of Preferences, Africa Growth and Opportunities Act, and Trade Development Assistance. JWI enhanced the image of a Middle East country by bringing spokespersons before cultural groups, think tanks, and other influential bodies. JWI advised a West African nation on its fiscal policy so that it can better meet international financial institution guidelines, including strict limits on indebtedness. JWI handled the complete scheduling for multiple U.S. visits of a Head of State, substantially extending the capabilities of the country’s U.S. embassy. Innovative events included an Internet streaming video call-in town meeting that helped harness the power of the media for the leader and coalesce support for him. JWI arranged a series of constructive breakfast meetings between the ambassador to the U.S. of an Eastern European country, U.S. government representatives, and high-ranking individuals from branches of the U.S. military. The meetings provided a unique opportunity for participants to collaborate on specific shared issues germane to the country’s bid for NATO membership. JWI represented the head of a political opposition group in a West African nation during the run-up to elections. When the incumbent postponed elections repeatedly for political reasons, JWI engaged the U.S. State Department, think tanks and Congress on behalf of the client to raise awareness of the issues. JWI also arranged for the client to speak at a number of events in D.C. and helped place articles written by the client in major U.S. news publications. JWI helped establish business leaders of the Caucasus region with leading figures in official Washington. In a single three-day visit, a client was brought to the attention of U.S. Senators and Congressmen, as well as media representatives, relevant non-governmental agencies, and opinion leaders associated with an industry vital to his country. JWI, to help advance the cause of independence for a disputed territory, established a foundation including powerful advisory board members, among them some of the most respected names in U.S. law, foreign service and defense. The case for independence was fully presented through the foundation’s website and events, produced by JWI. The territory subsequently achieved independence. Crosshatch provided advanced VIP training to the security detail of a West African nation’s Head of State. Senior Crosshatch trainers provided advanced personnel protection training, emergency medical training and counter-surveillance training to enhance the Head of State’s security. Crosshatch provided consulting and advisory services to a foreign country on how to establish a new intelligence service. Our senior team with decades of high-level experience in the American intelligence community helped the Head of State determine intelligence requirements and assisted in the design and establishment of a new intelligence service from the ground up. Crosshatch performed vulnerability assessments of important government infrastructure facilities in a West African nation. The Crosshatch team took a Red Cell approach and examined these sites through the eyes of potential adversaries to determine the most likely targets and their greatest vulnerabilities. This approach recognizes that it is impossible to prevent all acts of violence and terrorism and focuses on hardening targets that are most valuable and vulnerable. The team provided clear, focused, and easily executed recommendations for enhancing security at these key sites. Crosshatch provided a customized intelligence analysis training program for a West African country’s intelligence service. The training program created a new analyst cadre. The senior Crosshatch team hand selected a group of analysts from various services, worked with high-level government officials to determine intelligence analysis requirements, and provided ongoing training to the analysts over a period of eight months. JWI helped a U.S. equipment manufacturing company identify, sign and conclude a major sale in a West African nation. JWI helped a U.S. satellite company identify, scope and prepare to make a bid on a project in the Caucuses. JWI took a minerals exploration company from start-up to partnership with a senior international company for completion of exploration and production.  JWI attracted and arranged for the transaction’s multi-million dollar investment. JWI helped a nation in the Caucasus qualify for and attract OPIC funding for a development project by identifying appropriate U.S. corporations to participate. JWI multilateral funding capabilities helped a U.S. independent power producer obtain funding from the Export-Import Bank and OPIC to facilitate finalization of a contract in Southeast Asia. JWI helped a U.S. corporation combat the undue advantage of a foreign competitor whose offering was based on sub-market financing. JWI helped a large U.S. defense contractor identify sales opportunities in Southeast Asia and market directly to appropriate military and government decision-makers. JWI connected a software development company with major international banks on three continents to market its innovative software product. JWI facilitated the purchase of U.S. aircraft by a foreign country on behalf of a client whose after-sale equipment was designed for the aircraft. JWI’s political relationships enabled an international partnership to secure permits for offshore petroleum exploration along the West Africa coast. JWI was able to facilitate a client’s success in winning a contract by addressing a foreign competitor’s need for export clearance. JWI assessments of regional political and financial volatility have served as the basis of major investment firms’ positions on emerging markets, particularly West Africa and the Middle East. JWI advised an incoming Ambassador to the U.S. on how to use social media to achieve his foreign policy objectives. JWI provides to the President of a West African nation regular analytic reports on social media trends to inform him about important political trends in his country. JWI created an online outreach campaign for a West African President-elect during the political crisis that followed the incumbent’s refusal to give up power. The incumbent eventually relinquished power after extensive international pressure for his resignation. JWI created an online advocacy campaign for an African political party in an attempt to generate international support for a democratic election that would oust a genocidal regime. JWI developed and implemented an online PR campaign to restore the image of a head of state after an unpopular government policy exposed him to international criticism. JWI helped an Eastern European businessman uncover the reasons he had been denied a U.S.visa, assisted him in correcting false information that appeared in his U.S. government records, and devised a strategy for him to engage with high-level U.S. officials to resolve the problem. JWI helped a South American businessman counter an online slander campaign that was inhibiting his ability to manage his company and obtain a U.S. visa.